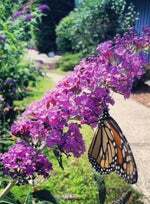 Love the low-maintenance beauty of Butterfly Bushes, but don’t have the room? Blue Heaven is the perfect choice for your garden! Growing to be only 2-3’ tall, this compact variety is drought tolerant, disease resistant and blooms from spring through fall. 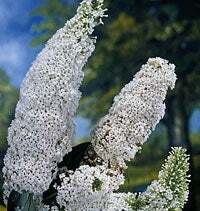 Like all Butterfly Bushes, Blue Heaven attracts pollinators to the garden and makes for spectacular cut bouquets. We recommend planting this versatile perennial in any border or small space garden. For an especially dramatic display, plant several varieties together for a clump of blue blooms all season long.